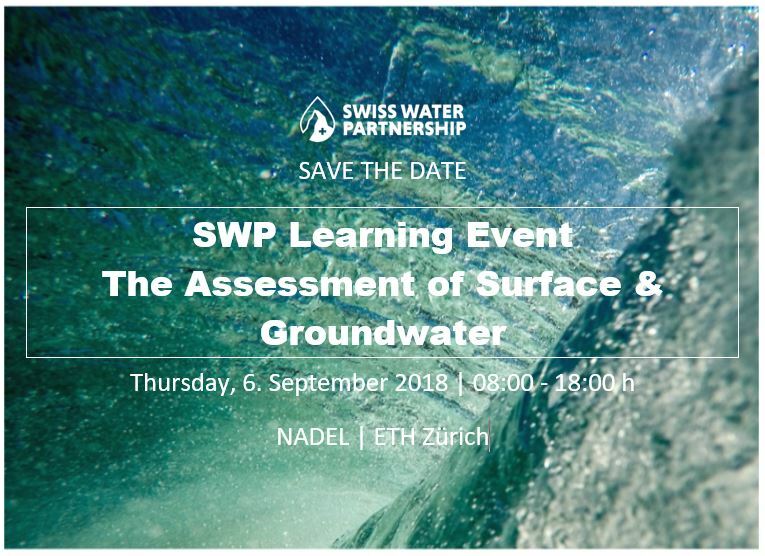 The SWP is organizing an internal learning event on the topic of assessment of surface and groundwater. This one-day event will take place on 6. September 2018 in Zurich (NADEL | Clausiusstrasse 37, Zürich, Switzerland). Please spread the news internally and save the date! For more information on the program will follow.